Update to get latest tools! With the release of WordPress 5.0 and the new Gutenberg page editor, you can quickly build eCommerce pages using a modular 'block' system. 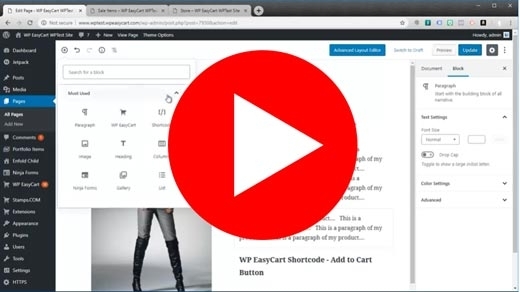 WP EasyCart offers custom blocks that let you easily add eCommerce modules to your page with point-click capabilities. The new Gutenberg editor may be confusing at first, but with a little practice, you can start custom building your page content with EasyCart blocks. CHECK ACCOUNT FOR UPDATE STATUS! 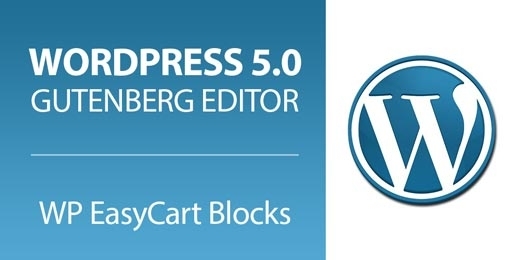 We walk through how the Gutenberg editor allows modular page creation as well as taking a look at the WP EasyCart blocks. Read our full documentation for a variety of EasyCart blocks outlined in our full documentation. Don't Forget - Sale Ends in 2 Days!